I haven’t posted much lately for a few reasons. I took a break from writing after publishing Boy of Dreams to reset a little. While doing that I spent my time contacting book reviewers and seeking out contests to enter the book in while also experimenting with how best to promote it. Then I started a new position at work that I enjoy but has taken some extra time during the transition. I’m just now starting to get back to “Book 2” in a serious way. However, I feel it would only be fair to be transparent and set expectations properly for when “Book 2” might be available to be read. The contests I’ve entered Boy of Dreams in will take awhile to finish up. If the book does well, they have the potential to raise its profile and desirability for publishers. I have a core trilogy of three books planned, though I wouldn’t be opposed to continuing to write stories in the world of Kingdoms of Broken Stone beyond the three books I have planned. 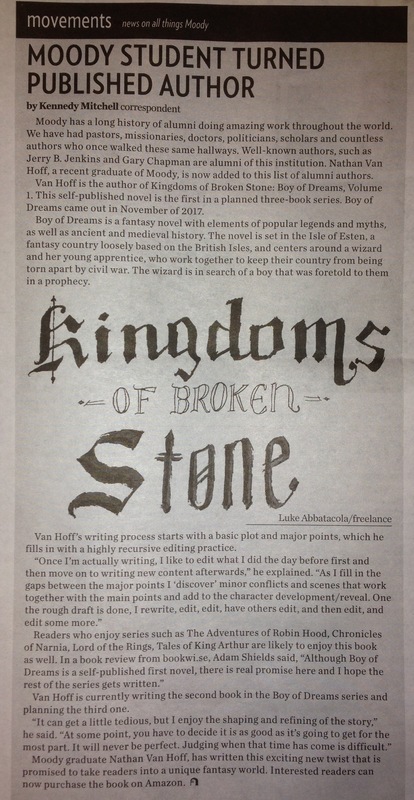 I’ve been advised that, If I want to have a shot (however small it might be) at a publisher picking up Kingdoms of Broken Stone (or KOBS as a friend has called it for short), I need to keep books two and three on the docket so that the potential publisher gets to be the one to release them for the first time. Admittedly, it isn’t all that likely that Boy of Dreams will win the contests I’ve entered it in. It also isn’t likely that it will be picked up by a publisher, but I’d like to give it time just to see. If after the contests have finished up I haven’t had any traction in that regard, I’ll go ahead and self-publish the rest of the trilogy. But I wanted to set expectations for my small group of readers who are looking forward to continuing the journey, it might be a little while waiting for these things to shake out. I’ll keep writing with the idea that it will be self-published so that it is ready once I have an idea which way it is going to go, but even self-published it would be sometime in 2019. All that being said, here’s another one of those reviews I was working on getting from Vay Elaine at the Rebel Christian. Hiu Gregg over at Fantasy Inn read Boy of Dreams and wrote a short review. Check it out here. 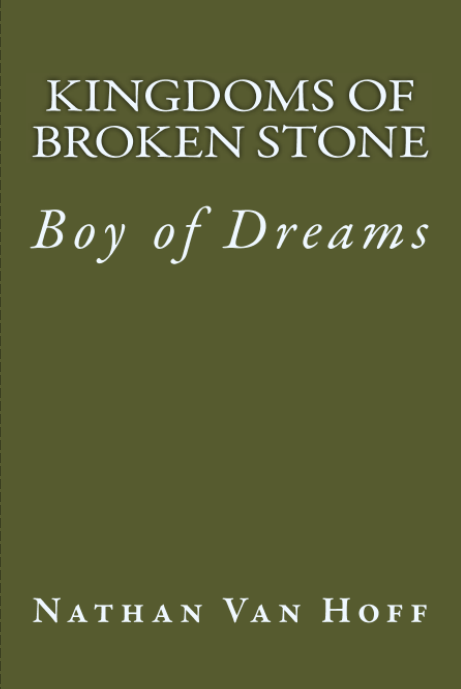 Kingdoms of Broken Stone: Boy of Dreams is now free to read for Kindle Unlimited subscribers! 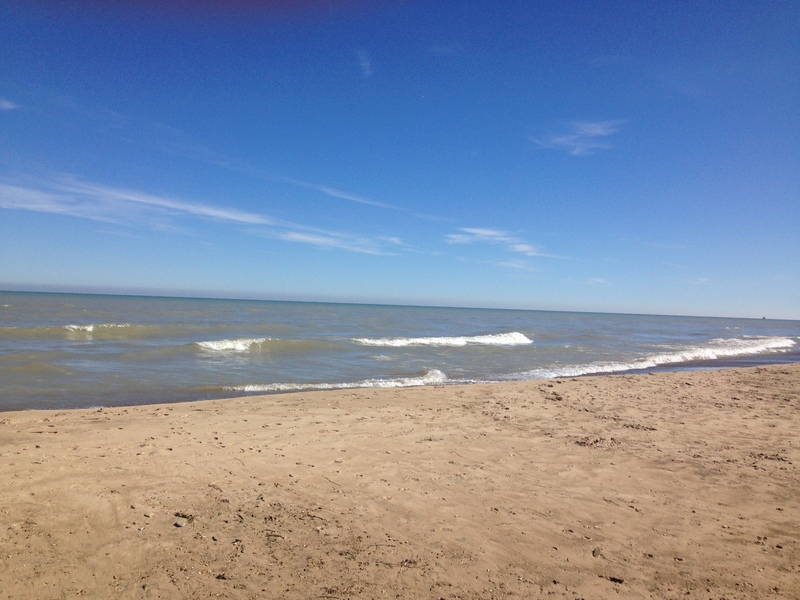 I think if you were to stand with me, and we were to look back over my own life together in a similar manner, there would not simply be a few places with only one set of footprints and others with two sets sitting neatly side-by-side. Nor would there be a nice long continuous line showing no variation or detours. LeVar Burton was traveling through space exploring new frontiers on Star Trek and teaching kids to explore new frontiers through a love of reading on Reading Rainbow. Really this article could end here. The only time I ever enjoyed Romeo and Juliet was when a Jack Russell Terrier was teaching me about it on Wishbone. Not everyone likes history and classical literature, but who doesn’t like a small, hyper-intelligent dog saving the day and educating everyone at the same time?